For use in brewing iced tea or iced coffee. The award-winning Extractor Series features the Pulse-Brew Intermittent Spray Shower Brewing System with intermittent spray technology to ensure that the body, taste and aroma of the coffee pass into the customer’s cup without degradation. 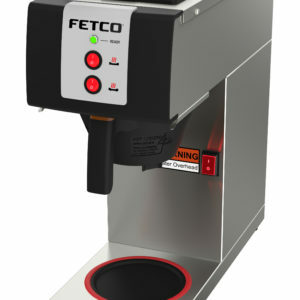 Other innovative features include external calibration and set-up, a large spray disc for optimal saturation and a pre-wet cycle that can be turned off or on to assure thorough extraction for accurately controlling the contact time allows for precision recipe development. 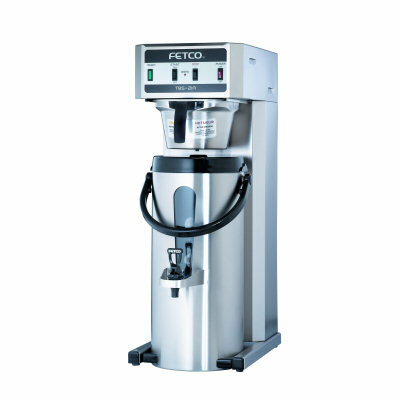 Adjustable parameters include: Brew Volume, Brew Time, Pre-Wet Percent, Drip Delay, Brew Temperature, Pre-Wet Delay and Low Temp/No Brew. 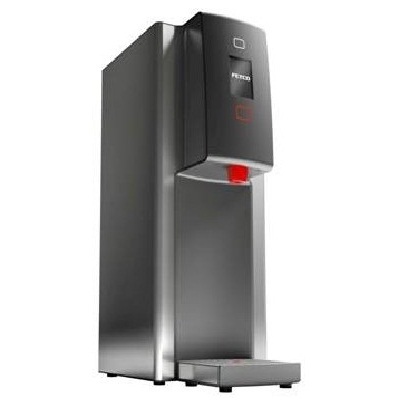 After brewing, the portable, insulated stainless steel LUXUS Thermal Dispensers maintain the coffee’s integrity and perfect serving temperature for hours without a heat source. The latest patented technology of the award-winning LUXUS Thermal Dispensers includes a Freshness Timer, built-in drip tray and a Volume Indicator. Easily programmable in up to 2 batches in 2 volume sizes -1.0 gallon to 3.0 gallon. These batches can be independently programmed for both iced tea and hot tea. It is now possible to design different recipes for both iced tea and hot tea, to achieve the perfect glass of tea, by controlling the variables of extraction independently.